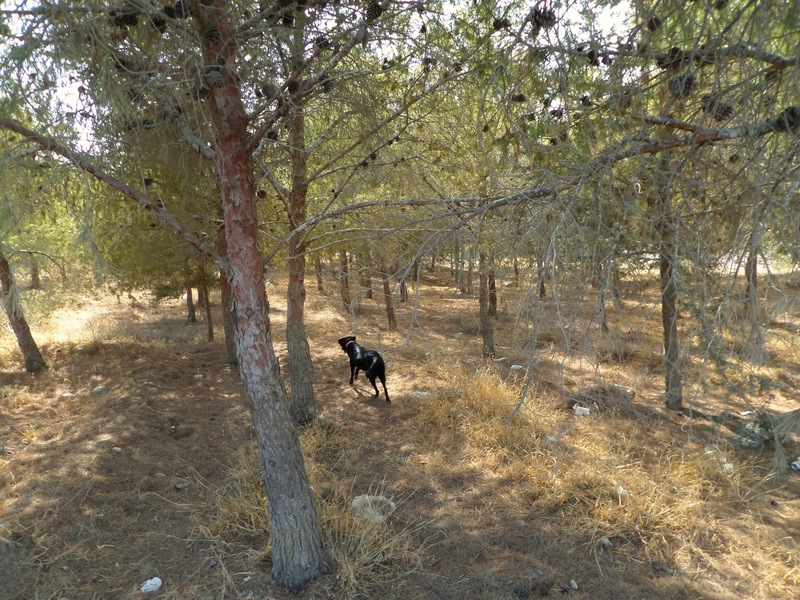 This is a small secret of the Larnaca district, which I learned about while interviewing for Dog of the Month. 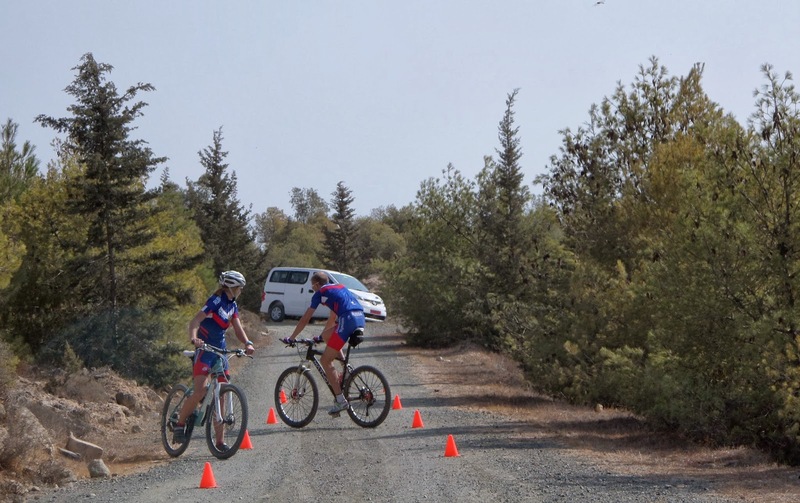 Pass through the village of Oroklini until you reach a turn off which winds it's way uphill, and signs for the Profitis Ilias church. At the top of this road you will find parking spaces, a picnic area, special dog poo bins (with bags provided! 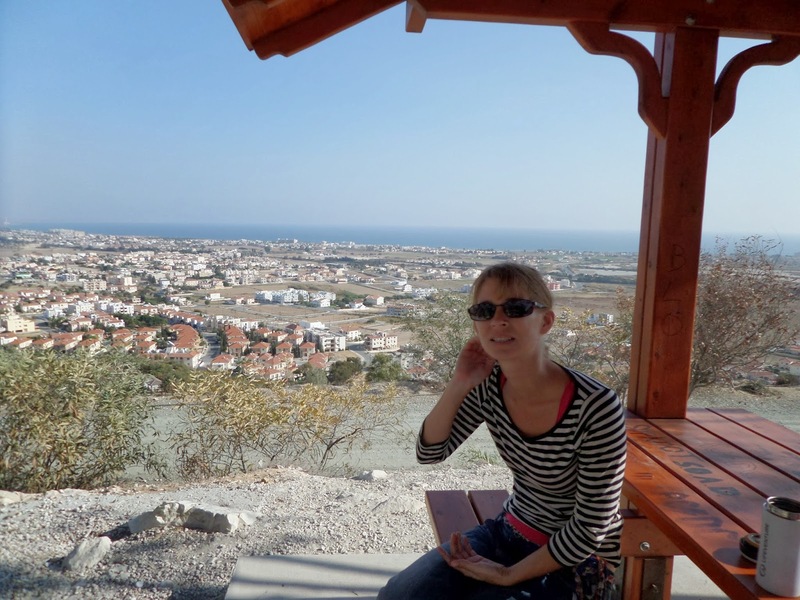 ), and great views out over Oroklini down to the coast. From this point you can follow several pathways and explore on foot or bike. One path leads round to the church of Profit Ilias (Elijah). A small water tap at the side of this church has been quite useful in the past - although I'm not sure that is really encouraged.. In the other direction you pass small woodland areas with pine trees. After the woods the path continues around through fields and you can circle round to the look out point at the highest of the hills. 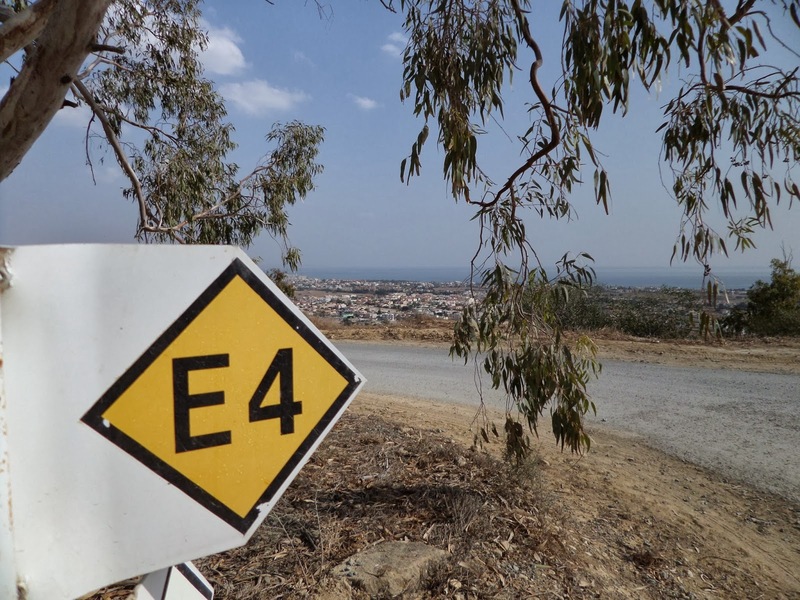 The views from these hills are not the spectacular mountain views of the Troodos, nor the wild natural beauty of Cape Gkreko, but they are quite lovely in their own gentle way. 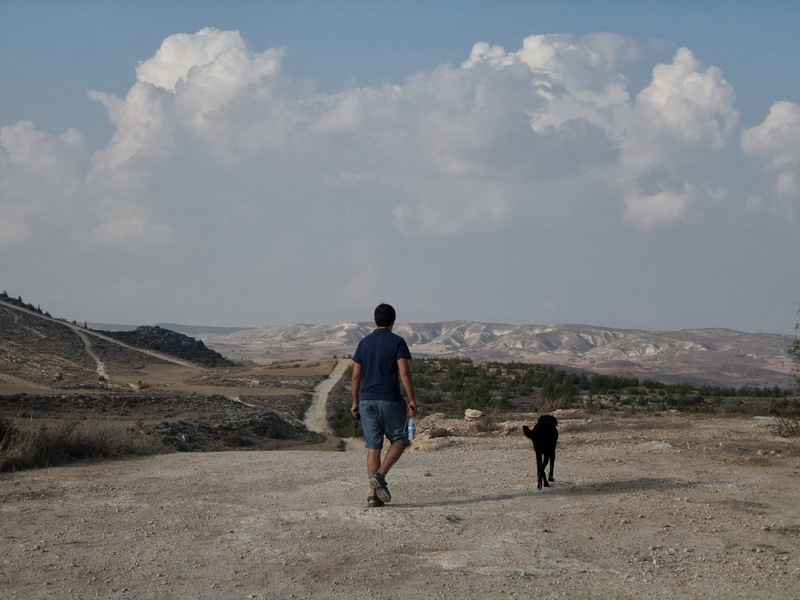 We were last here in late summer/early autumn, when Cyprus is at its barest and most arid. The fields were parched white earth and from above on the hills they appear almost desert-like. 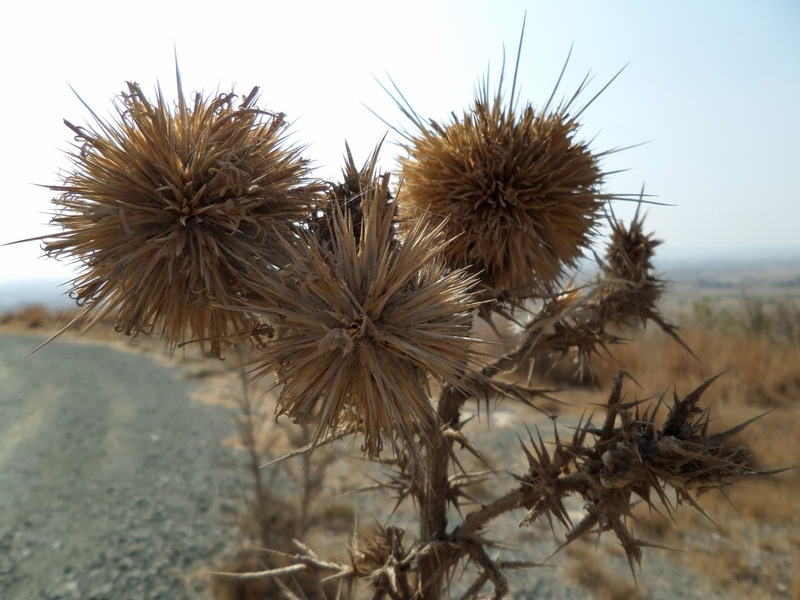 In some areas, dried thistles and shrubs were the only plant life remaining. I do prefer Cyprus in the Spring, after the winter has refreshed the fields and suddenly everywhere you look are grasses and wild flowers. But there is beauty in the dry, empty landscapes too, I think. We met a few other dog walkers at the hills, and felt comfortable to let Sage run around off her leash, except in the picnic area as she tends to get a bit too interested in other peoples' sandwiches. Warning - keep in mind that people use some of these fields for hunting during hunting season (autumn/winter). Keep your dog close by or on the leash if you hear or see hunters in the area. 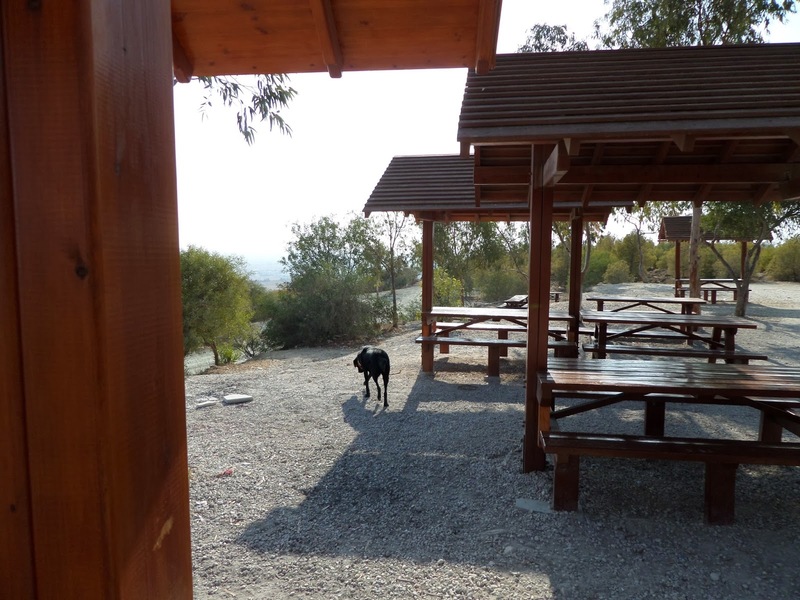 Those picnic shelters are beautiful all on their own! This looks like such a lovely dog friendly locale. 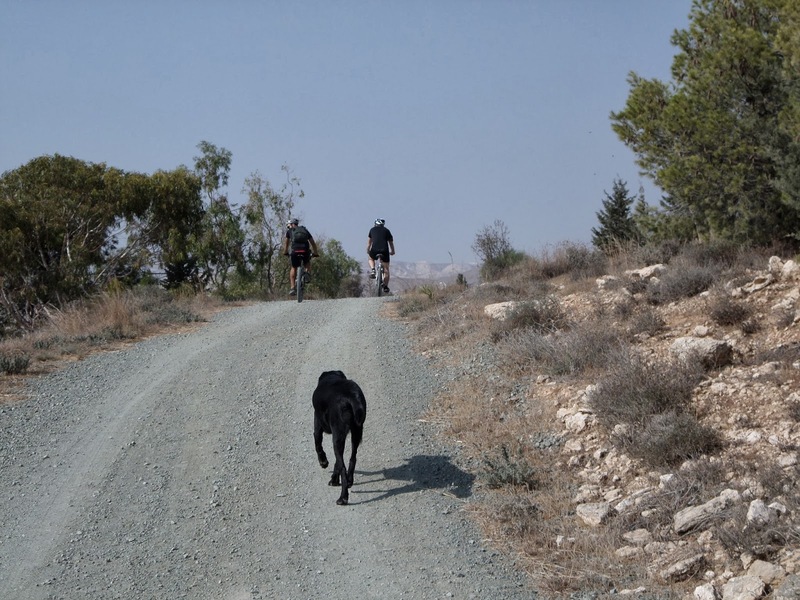 It would be wonderful for cyclists to bring their dogs for a workout! There are so few places where that is possible. They are beautiful aren't they? I'll definitely get organised and go back with a picnic next time. I haven't cycled with Sage yet, I used to worry when she was a puppy she'd be too excitable, but I think she'd get used to it pretty quickly now. Do you cycle with yours?